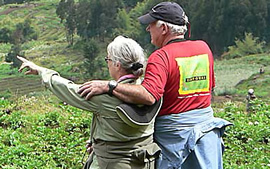 The 3 days tour in Queen Elizabeth national park takes you to Uganda’s second largest national park with a variety of wildlife. 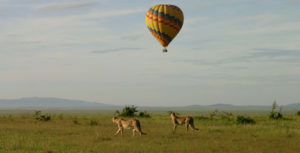 You will enjoy the hot air balloon safari; boat cruise at kazinga channel and ishasha game drive for tree climbing lions. Day 1: Transfer to QENP and evening game drive. Upon your arrival at the airport, you will meet our driver guide and transfer to Queen Elizabeth national park with a stopover at the equator. It will take you roughly 5 hours to reach the lodge for check-in. In the evening, set off for evening game exposing you to various wildlife like buffalos, elephants, warthogs, waterbucks, and antelopes among others. Dinner and overnight at Mweya safari lodge, park view lodge. You will wake up early at 5:30 am and transfer to the kasenyi gate for hot air saloon. The pilot will give you safety precautions as the balloon refills with cold air. At 6:00am, you will fly into the skies for an hour viewing wildlife from above. You will then land and have a bush breakfast and then transfer back to the lodge for rest as you wait for lunch. In the afternoon, transfer Kazinga channel for a boat cruise. The channel is a good site for bird watching and spectacular views of various animals along the channel banks. Dinner and overnight at the lodge day1. After a morning breakfast, you will check out of the lodge and drive to ishasha sector south of the national park or tree-climbing lions. You will be excited about seeing lions hanging in the tree as you proceed to Kampala to connect to the return flight.